Concept trailer for a planned feature evokes the spirit of '80s action cinema. With Ready Player One raking it in at the box office, it seems '80s nostalgia isn't disappearing anytime soon. But while Spielberg's film feeds on memories of mainstream pop culture, many of us look back more fondly on the edgier, low budget treats of '80s genre cinema. 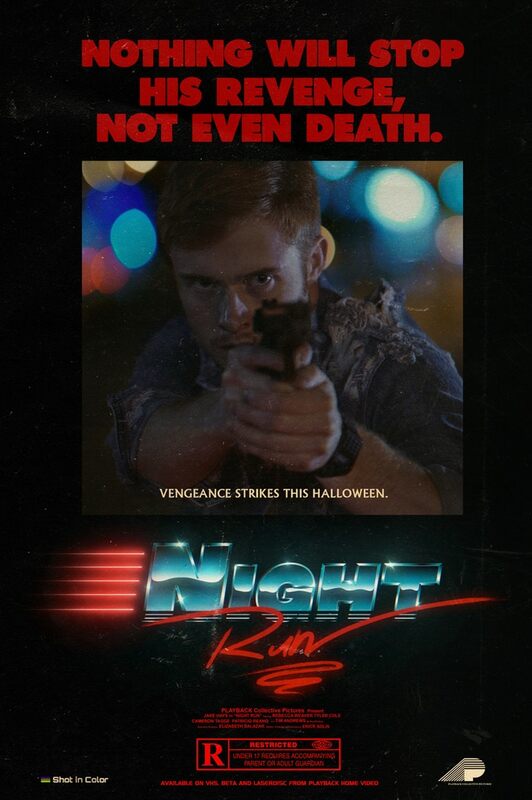 Night Run is a planned feature film that intends to pay tribute to the anything goes spirit of '80s grindhouse cinema by telling the story of a young man who comes back fromt he dead to seek vengeance on the gang who killed him. Producer/writer/director Erick Solis has made a concept trailer in the hopes of attracting funding through a kickstarter campaign, which you can find details of here. In Solis's words: "We want to make an authentic 80's film, nothing over the top, something that feels straight out of 1985!" The year was 1985, Daniel McCormack was like any other man, dreaming of sports cars and a brighter future with his girlfriend, Jennifer. One night Daniel stops an assault on several civilians by the notorious Kano Gang who have been overpowering the city of Santa Mira. Unfortunately, Daniel’s bravery is short lived as he is murdered by Johnny, the gang’s leader. A year later, on a thunderous October night, Daniel rises from his grave seeking revenge on the men who took his life, his future and his dreams.